If you’re a competitive person by nature, then you’ll love poker leaderboard races. Leaderboard races are normally held on a monthly basis, and they offer lots of cash and other prizes to the top players. Obviously the thought of big cash rewards is intriguing, so let’s dive a little deeper into the subject of leaderboard races. How do Leaderboard Races work? 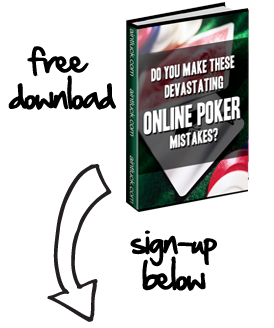 The goal of leaderboard races is to encourage people to play as much poker as possible throughout a month. This being the case, the most frequent players are the ones who earn the biggest prizes in a leaderboard race. These races use VIP points or frequent player points to track how each player is doing, so stakes often play a crucial role in the process. Fortunately, many leaderboard races include two or three separate divisions for low limit players and high limit players. This ensures that nearly everybody gets a shot at taking leaderboard race prizes instead of just the high stakes players. In most cases, the leaderboard race prizes are varying amounts of cash for each place. For example, a leaderboard race might be divided into high and low limit races, and the winner of the high board will get $2,000, while the low limit leaderboard winner will receive $1,000. As far as how many places get paid, most sites will pay anywhere from the top 50 to top 250 players on each board. What Games offer Leaderboard Races? One of the best things about these races is that they’re offered for different games. For instance, a poker room might hold a cash games leaderboard race one month, then offer an SNG leaderboard contest the next month. The variety of games that leaderboard races offer adds even more to the equation, and makes the races a lot more fun. So if you play tons of poker and want to be rewarded with extra money for your efforts, sign up where the best races are offered. Some of the best online poker sites for offering leaderboard races include Party Poker, Ultimate Bet Poker, and Carbon Poker.